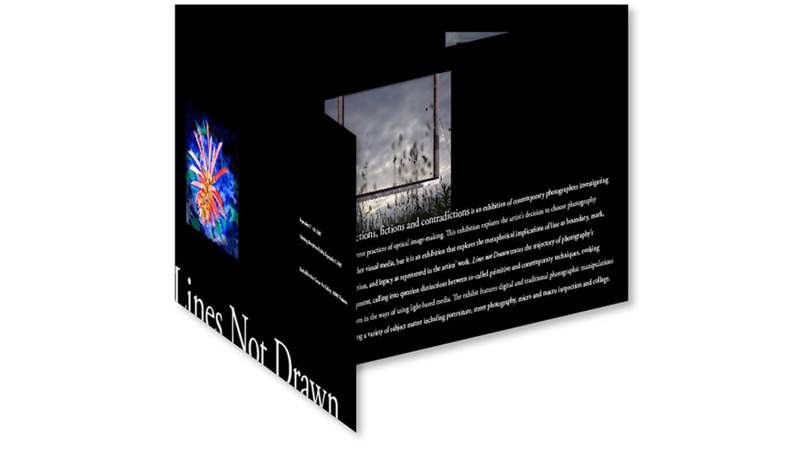 Lines Not Drawn was a contemporary photography exhibition held in the Emmitt Christian Gallery at SUNY Fredonia. By designing the exhibition title typography to cut off at the bottom, the viewer feels uneasiness that the cutting-edge photography displays. Much like the exhibition, the bold typography treatment on the front panel explores pushing boundaries while allowing the photography to be the focus of the piece.